Pure wool = Pure comfort. Comfortable sleep is closer than you would have dreamed. 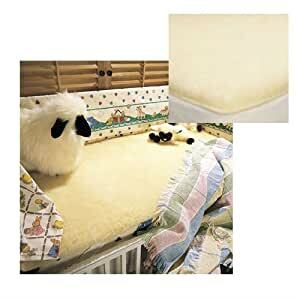 you are nestled into the gentle embrace of quality, plush wool covers. Experience sleep the right way today. SnugSoft wool fibers are knitted around a durable poly thread that allows only the wool to come in contact with your body. It is this special process that allows for machine washing and drying. With more than three decades of experience, SnugFleece Woolens, Inc. is the expert in making people comfortable in bed. Let us improve the quality of your life by helping you get a better night’s sleep. Imagine waking up relaxed and rejuvenated after enjoying night after night of soothing, pain-free sleep. – Pure wool = Pure comfort. Comfortable sleep is closer than you would have dreamed. you are nestled into the gentle embrace of quality, plush wool covers. Experience sleep the right way today. – SnugSoft wool fibers are knitted around a durable poly thread that allows only the wool to come in contact with your body. It is this special process that allows for machine washing and drying. Assembled Dimensions: 28 in. x 52 in. x 1.75 in. Shipping Dimensions: 18 in. x 14 in. x 8 in.